Just beginning to remodel our 1983 Double wide. Haven’t read all your posts yet. We need to replace narrow windows with large ones or sliders to outside and new wraparound deck. Have you had luck with either of these projects yourself? great site, I look forward to reading them all! We installed all new windows in our double wide about 7 years ago. I know that many people have purchased off the shelf windows at Lowes and Home Depot and retro-fitted them in to their mobile homes, but we found excellent double-hung vinyl replacement windows at Ashvillemobilehomes,com. They have so many of the odd sized windows that are standard to mobile homes that it was much easier to find exactly what we were looking for rather than make due with what they offered at the big box and end up doing a lot of work cutting the opening and trying to fit them. At this link you will find a bunch of sizes that are standard, but I also think there’s a place on the site or if you call them where you can give them the measurements you need and they can get them for you. Click on one of the window sizes to see the description of the windows. They are the kind that pop inward so you can clean them easily and screens are included. Very, very low maintenance. We had never done this before and taking our old windows out was a snap. Putting these new ones in was just as easy. We also had those nasty veneer window sills that were all dried out and peeling due to exposure to the sun. Our windows were the old aluminum ones where the storm window was stored on the inside of the window and you just raised it up in the Summer to have access to the exterior window. Both of which, by the way, were about 1/8 inch think cheap pane glass. Good luck with your project. Be patient and just make sure you use as much clear caulk as you can justify spending money on when you install the windows. The trick is to seal them in the frame well so moisture and cold air won’t get in so use liberally, but keep it clean on the edges because it will get all over the siding and gunk all up if you don’t squeegee it off quickly once the window is in. This excess clear caulk may discolor over time and look unappealing. If you are going to put shutters around the edges, then not so bad. But you don’t put shutters on the top and bottom of the window so keep those edges clean! Take care and thanks again for visiting the site. 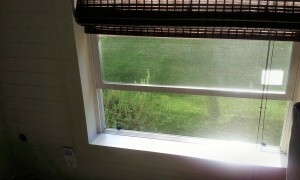 We are redoing our old window sills in our doublewide and replacing with wood sills. 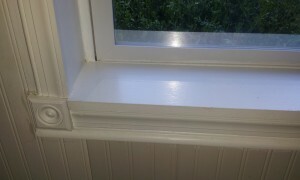 We came across a problem when we were applying mud to the inside window sills and the area around the window itself. The mud does not adhere to the vinyl panels on the wall, we had to use texture in the paint to get it to stay. We want to do more windows but I don't want the texture. is there a way to replace the sills and not have to texture the paint to finish it? Hi Janet. 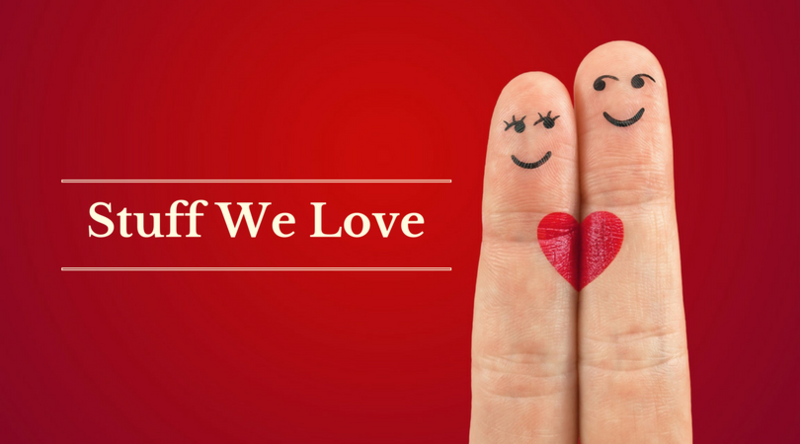 Thank you for visiting and commenting. When we first replaced our windows in our double wide, we redid the sills and interior frames with luan and trim. The material that covered the inside area of the windows was a cheap cardboard like substance with a glued on "wood like" facing. Sort of like the cheap wood like covering on some cabinets to make them look like oak. We used Luan, which is a nice sanded type of plywood that is often used as underlayment for flooring. It's about 1/4 inch thick and we cut the pieces to fit the interior window areas and used Loctite and finishing nails to install. Once the Luan was up, we caulked for nice seams, then painted. This worked so nicely and has held up really well. I'd share a pic, but we've recently had even better triple pane windows installed and they have pretty much used up the whole sill and interior window framing, so you can't really see it. 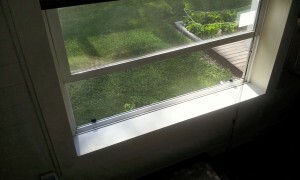 This project for the window sills with Luan was cheap and very easy. Just requires measuring, good cutting, some nice caulk work, and paint. Good luck! I had a question on the picture using the faux brick on the wall behind the bed. Can you tell me what kind that is and where you got it? Is it wallpaper..vinyl panels? Hi Peggy! Thanks for visiting and commenting. It's really easy to cut and put up and it's very sturdy as well. Thank you for visiting and for sharing your project. 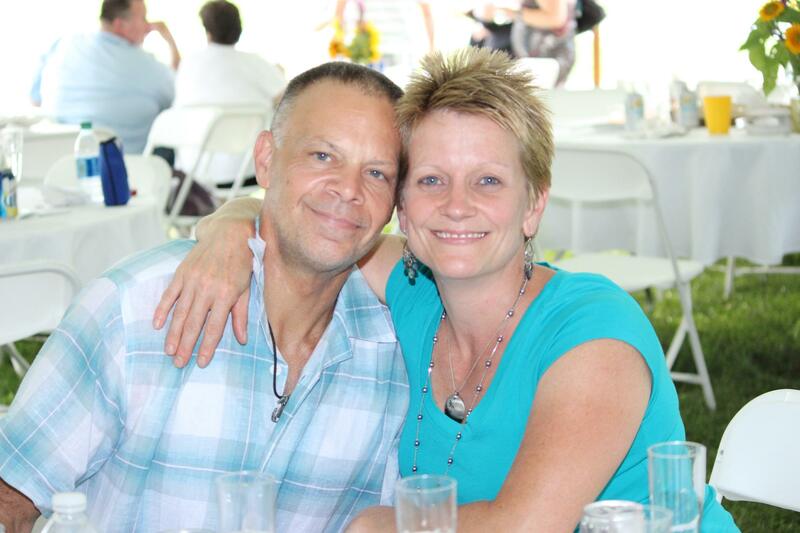 We love to hear about how folks are making their mobile homes feel like "home sweet home" through their project ideas. We bought double hung windows from lowes, house windows. Our contractor reframed and put headers in, but as we gutted the home it was an easy job for an experienced carpentar. I can't wait til our remodel is completed. We also took off all the old siding, put new plywood and tyvek, then reframed with all new studs and installed cedar siding. The new copper metal roof is being installed next week. Then drywall and fixing the subflooring from the demo of all the rooms, underlayment and new flooring thr I ugh out the whole home. We also purchased all wood kitchen cabinets. I did just that in a home we had, I took off all the panel strips, taped and mud them, then did a skim coat over it all. We also installed maple wainscoting on 1/3 of the bottom. It ended up beautiful. Made it look like a real home. What is skim coat? Wall seams showing after mudding and painting. Hi Kathy! Thanks for your comment. Skim coat is a thin, watered down mixture of joint compound. You can do many layers of this and then knock down nubs and sand out lines until you are satisfied with the result on your wall. Did you use caulk in the seams before mudding? I've been hearing that that works well for less cracking. You may be able to skim over where the seams are, sand lightly, and repeat until you have the result you want, then paint again. If you have pics of what's going on, pop over to our facebook page and share them. Perhaps some of our friends there can make suggestions for solutions. Yes we did our entire double wide.I hired a professional and he taped and bedded all the seams then he hand textured all the walls.I am in Oklahoma and was it quiet reasonable.We did our own painting.I was fortunate to have pretty ceilings going into the redo. It looks by the pictures you did a fine job. I use a wet sponge to remove excess caulk. You may want to try it on your next project. 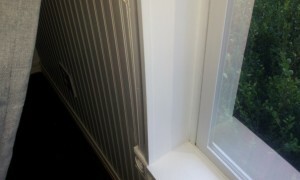 The change to 1 x 4 to trim your window goes a long way to the feel of your home also. I trimmed out my mother in laws double wide with new trim and it looks and feels like a stick build home. I am sure you will enjoy a lower energy bill with the new windows also. Good luck on your next project. Thanks for visiting and commenting, Doug. The best thing we ever did in this home was replace the awful original windows. I love the treatment we've given them. It feels like a stick-built home. I don't have any doubts regarding how useful this post is for someone who is totally a fresher in replacing old and replacing new windows. This task might be easy for some one who has incurred great knowledge in years but if it was me like I am not so much into these things, it is indeed difficult for me. My wife had been sick of seeing those aluminium windows at home and wanted to replace them with vinyl one. Therefore, I began the quest of getting a good quality and affordable vinyl windows which I was able to get from value windows and doors after going through a lot. I saw the link above which mentions about ashvillemobilehomes.com they have also got wide variety and a satisfactory range of vinyl windows. Since I have replaced my windows I haven't faced any problems till date and hope not to get one in future! 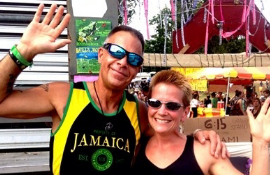 Thanks for posting and sharing your experience Jesse. Enjoy your new windows! I had even used similar windows but ordered from Alpha impact , Mine are reliable too !! 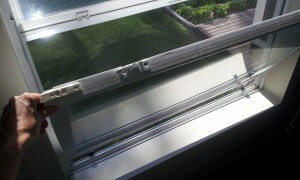 I used Window World for my windows, they did an amazing job & they were reasonable.